Orbital inflammation, as any orbital pathology, is challenging in terms of diagnosis and treatment, given the difficulty of exploration and the many and varied processes that may affect it. Here some of the most common types of infection and inflammation are described. This inflammation affects only the eyelids without affecting the orbital tissues. It can affect both eyelids. It is relatively common in children. 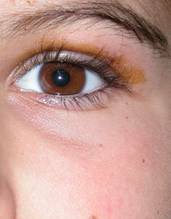 Palpebral edema is present with redness and swelling. Different forms of cellulitis. We appreciate a white eye without inflammation. 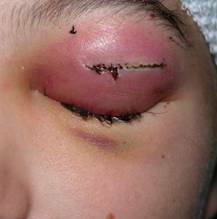 Children with impaired eyelid only. The eye and orbit are not swollen. No orbital involvement is present, therefore no muscle injury or exophthalmos are observed. 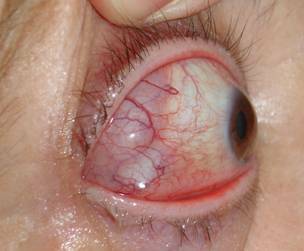 There is also no risk of vision loss in orbital cellulitis. 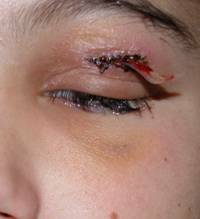 Treatment in children should presume a possible risk of orbital involvement. The most common causes are upper respiratory infections and sinusitis. In case of upper respiratory infection and cellulitis or fever, you must hospitalize the patient is it is a child. It usually has a good prognosis. 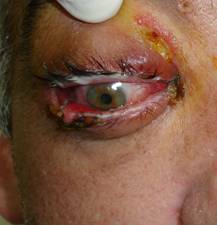 Infection is widespread affecting the orbital tissues. 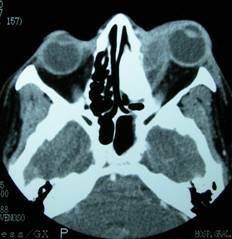 It is an acute infection, most frequently caused by sinus infections. 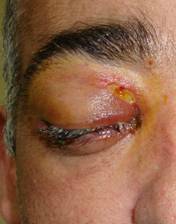 Orbital cellulitis affects the muscles, orbital fat, optic nerve and other orbital tissues. It produces eyelid edema and redness with limitation of eye movements. Often the existence of proptosis is evidenced, in which the eyeball tends protrude due to pressure from swollen orbital tissues. The patient has fever, malaise. 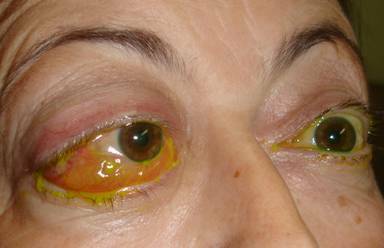 It is a very serious disease with potential risk of eye loss, but also can lead to serious complications that endanger the patient's life such as cavernous sinus thrombosis, meningitis etc. Prompt hospitalization and emergency treatment are required. Treatment is with intravenous antibiotics and anti-inflammatory drugs depending on the causative agent. We must perform radiological tests such as CT scan, as well as microbiological sampling and be aware that this condition requires extreme vigilance. We have to make differential diagnosis with other diseases such as orbital pseudotumour or abscess. Abscesses due to cellulitis can be formed by a poorly cured or lesion formation at the subperiosteal level (near bone) caused by sinusitis. We perform radiological testing to determine the exact location because it can be formed into any wall, being more frequent in the medial and upper walls. Treatment is surgical draining and releasing the tension of the tissues besides intense antibiotic therapy. 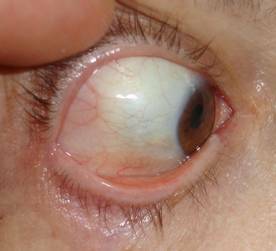 This term refers to a group of diffuse orbital diseases that behave as if they were tumours by their signs and symptoms (exophthalmos, pain, growth, diplopia...) although its nature is not a histological tumour. There are no cancer cells and inflammation is present. They usually involve only one eye. This group of diseases is not well understood, and therefore multiple classifications and processes exist. Sometimes they can solely affect a muscle in a process known as myositis. Clinical presentation varies widely from minimal discomfort to cases of true exophthalmos with ocular gaze palsy. They may be a more latent or acute onset. It can affect children and adults. Diagnosis is based on clinical picture, CT or MRI scans, and the use of biopsies. Generally tends to improve with corticosteroids or immunosuppressants. 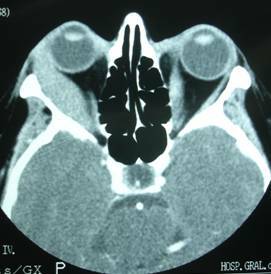 The patient needs to understand the difficulty of diagnosing any orbital disease and if the clinical picture is varied and multiple, sometimes requiring patience for diagnosis and treatment.